The world’s first high power diesel outboard OXE is ready for operational use. Cimco Marine, the company behind the diesel outboard, has delivered its first engines to Norwegian Hurtigruten. It is a major milestone for Cimco after four years of thorough development, testing and validation, as well as a historical move for the maritime industry. In 2012 Cimco Marine started to design the first generation high performance diesel outboard. The patented technology has enabled Cimco to develop, and now deliver, a robust drive unit that effectively transfers high torque from diesel engines. In March 2016 Hurtigruten accepted their first order of 15 engines through Cimco’s Norwegian distributor Link Norge AS, for use in Antarctica. The OXE is an ideal solution for naval, military, rescue and commercial applications where safety, durability, performance and ease of service is important. 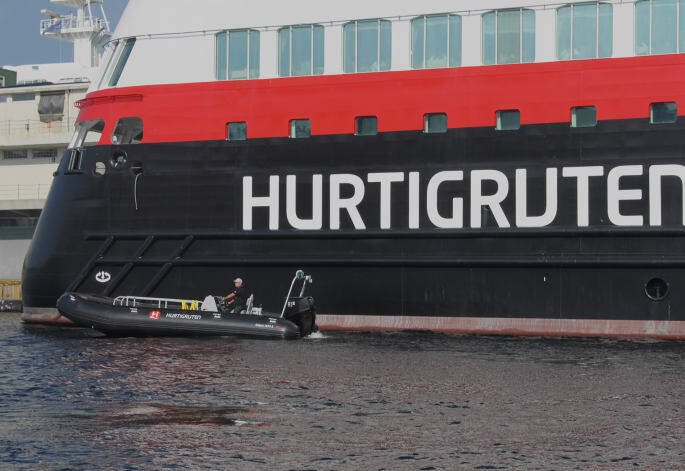 Hurtigruten represents a respected trademark in the worldwide cruise market, essentially known for their trips across the Norwegian coastline described as “The World’s Most Beautiful Sea Voyage”. They offer explorer voyages in Antarctica, Greenland, Iceland, Spitsbergen and across the Transatlantic. The delivered OXE engines will be installed on tender boats that operate with MS Midnatsoland its Antarctic cruises. One of the vessel’s first stops is the 18-day exploring voyage along the Chilean coast and Antarctica. With this historical delivery Cimco Marine now sets course towards full production speed. The work with implementing organizational changes and expanding its distribution network also continues. Cimco Marine was founded in 2012, and is the manufacturer behind a patented outboard transmission, enabling the use of high torque diesel engines on outboard systems and in sterndrive solutions. During 2016 Cimco Marine launched the OXE Diesel – the world’s first high performance diesel outboard engine, setting new standards for durability, fuel-efficiency and low emissions.